Yay! We have a winner for our Ribbon Retreat giveaway. Margret wins a 25 dollar gift certificate! 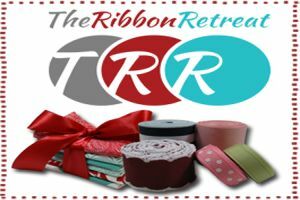 I want to give a huge shout out and thank you to Ribbon Retreat for providing the prize. By the way-- did you know that Ribbon Retreat sells patterns, notions and thread? I honestly had no idea until this evening! Congratulations again! See you back here tomorrow for a fun bag tutorial!